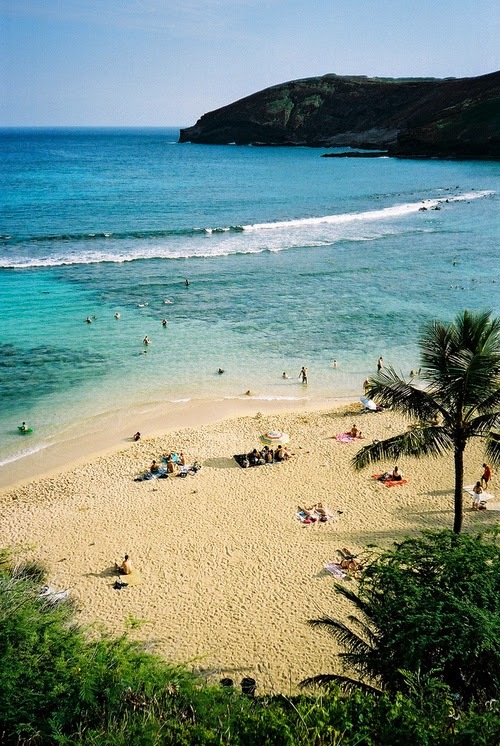 Hanauma Bay, Oahu. I used to teach SCUBA diving here in 1979. Hey, 1979 is just not that long ago, but it was before cell phones, the internet, PC's, Ipads, Facebook, Paypal, Google, Amazon, email, ... Ok, it was a long time ago. So long ago that the reef was alive! Kirwan's School of Diving. Old Marine drill instructor with a SCUBA Instructor ticket. He taught absolute confidence in the water.